HONOLULU (HawaiiNewsNow) - The University of Hawai'i women's volleyball team (9-4, 2-0 Big West) hosts its Big West home opener this week with a pair of matches. The Rainbow Wahine will take on Cal State Fullerton (6-9, 1-0 BWC) on Friday, Sept. 30 at 7:00 p.m. and then UC Riverside (5-8, 0-1 BWC) on Sunday, Oct. 1 at 5:00 p.m. This week, Hawai'i rose one spot in the AVCA poll to No. 13 after opening the conference season with a pair of road wins. Rookie Norene Iosia earned her first BWC Freshman of the Week honor after averaging 13.29 assists, 2.86 digs and 0.43 service aces per set as the Rainbow Wahine swept UC Santa Barbara and toppled Cal Poly in four this past weekend. Iosia guided an efficient UH attack in the win over the Gauchos as the Rainbow Wahine outhit their opponent .382-to-.112. She dished out 35 assists to go along with eight digs, two aces and a block. Then against the Mustangs, she dished out a career-high 58 assists (14.50 aps) while posting her team-high sixth double-double with 12 digs. She completed the all-around effort with two block assists and an ace. 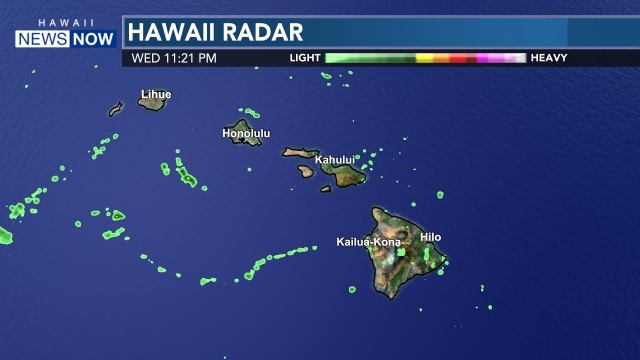 Iosia orchestrated a balanced attack as four different Rainbow Wahine hitters amassed double-digits in kills for the second time this season. For the season, Iosia is tied with Cal Poly's Taylor Nelson for the league lead averaging 11.17 assists per set. Overall, senior opposite Nikki Taylor is ranked No. 2 in the NCAA and No. 1 in conference averaging a phenomenal 6.6 points per set (kills + blocks + aces) and she continues to lead Hawai'i and the league with 5.35 kills per set, 0.79 service aces per set and 27 total aces. Taylor has notched double-digit kills in every match she's played this season. Junior middle hitter Emily Maglio leads Hawai'i and is ranked No. 2 in the Big West with 60 total blocks (eight solo/52 blocks assists). She is also second in the conference with a .395 hitting percentage with 117 kills and 17 errors in 253 attacks. Junior libero Savanah Kahakai continues to anchor the backline and at Cal Poly, for the fourth time this season, she tied her career high with 23 digs. Overall, she leads the team with 203 digs and is averaging a team-high 4.32 digs per set. 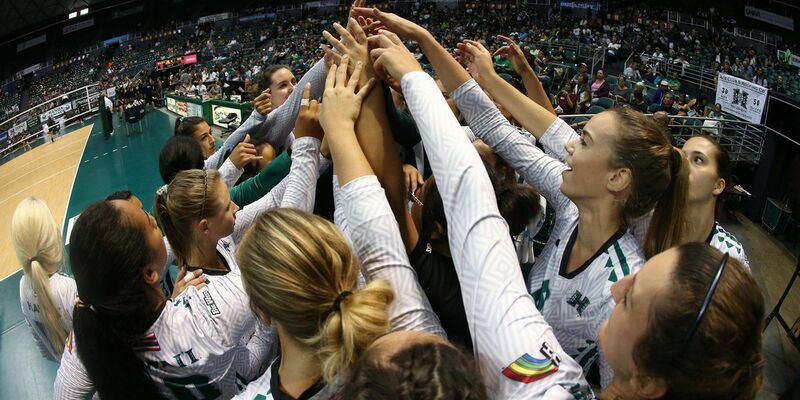 Hawai'i has won 23rd consecutive conference matches—including 14-straight Big West road wins. When: Friday, Sept. 30 at 7:00 p.m. Promotions: Hawaiian Telcom is the match sponsor on Friday and will distribute 4,000 green hairbands. Radio: ESPN 1420AM will both Friday's and Sundayt's match with Tiff Wells handling the play-by-play. Television: OCSports will be broadcasting both matches against Pepperdine with Kanoa Leahey calling the play-by-play and Chris McLachlin providing color commentary. Scott Robbs, Lisa Strand-Ma'a, and Ryan Kalei Tsuji will be the talent for the pre and post-match shows. Fans can catch the action live on Oceanic Time Warner Cable Channels 16 (SD) and 1016 (HD) –or- Hawaiian Telcom Channel 89 (SD) and 1089 (HD). Live-streaming Video: A live video stream will be available at BigWest.tv. Radio: ESPN 1420AM will carry Friday's match and NBC Sports Radio Hawaii 1500 am will air Saturday night's match. Tiff Wells will be handling the play-by-play for both matches this week. Audio Webcast: Both matches can be listened to online at espn1420am.com. Ticket Information: Tickets can be purchased at Stan Sheriff Center Box Office, online at HawaiiAthletics.com, or by phone at (808) 944-2697 (BOWS). Series History: Hawai'i is 34-0 against Cal State Fullerton. Last season, UH defeated the Titans on the road in straight-sets, 25-11, 25-16, 25-13. The 'Bows then defeated CSF at home on Senior Night (Nov. 1), 25-17, 25-18, 25-21. When: Sunday, Oct. 2, 2016 at 5:00 p.m. Promotions: Fantastic Sams Hair Salons is Sunday's match sponsor and will award great prizes throughout the match. Radio: ESPN 1420AM will carry Sunday's match and Tiff Wells will be handling the play-by-play. Audio Webcast: Sunday's match can be listened to online at espn1420am.com. Series History: Hawai'i is 19-0 against UC Riverside Last season, UH defeated UCR on the road on Oct. 3 (25-17, 25-15, 25-5). Hawai'i then defeated the Highlanders at home (Oct. 30) in four sets, 25-15, 25-16, 18-25, 25-23.